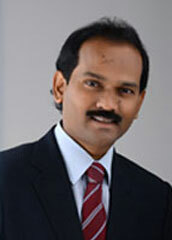 Ramesh has over 20 years of experience in the construction industry in UAE, Malaysia and India. He has been involved with a wide variety of large scale mixed development construction projects such as marine projects, power plants, townships, industrial buildings, residential housing projects, civil engineering infrastructure works, hospitals and air ports. Ramesh has held senior management positions in a various divisions with the contractors, consultants and Semi-Government organizational clients. His experience includes implementation of best standard practices in procurement strategies, contracts management, cost management and effective contract administration. Ramesh is a fellow member of various global QS professional bodies such as RICS (UK), AIQS (AU) and IOS (India). He qualified as a Chartered Quantity Surveyor (MRICS) in 2008. Later, he extensively mentored many global QS professionals in UAE, Doha, Kuwait, Oman and India. With his continued passion for mentoring professionals, he founded "Matrix – Professional Mentoring Platform" to share various QS competency knowledge to QS and construction professionals. With his experience and leadership skills, he held the position of IIQS - Director - Global Professional Development until May 2014 and during this period he mentored many APC (Assessment of Professional Competency) candidates to become Chartered Quantity Surveyor in the Middle East and India. Ramesh has attained fellowships with the AIQS in 2013, RICS in 2014 and IOS in 2015. Further to his hard work and selfless service to Quantity Surveying professionals in Middle East, he has received two international recognition awards from RICS in the categories of "Outstanding Mentor" in 2009 and “Best Counselor” in 2011 in MENEA region. He also received a special recognition award of "Outstanding Member" from IIQS in 2010 in Dubai. In November 2013, he received an infinite value award in the individual category of “QS Advocacy award” with a global recognition from AIQS in Sydney, Australia. In 2015 Ramesh founded AIMS in UAE to guide and mentor QS and Contract professionals with a specific focus of imparting skills and knowledge in line with the vision of AIMS. Rekha is the Managing Director and she is primarily responsible for managing the international operations of AIMS including its business development across Middle East, regions and in India. She plays a key role in strategic development of AIMS and its global operations. Rekha has rich experience in the teaching and mentoring profession for more than 10 years and served more than one year as Membership Development Manager for a global QS professional institution in Middle East. She has creative development skills, strategic ideas, and effective event management skills to conduct professional development seminars. She supported many career aspirants in QS and Construction profession in various workshops. Rekha has completed her Master of Arts (MA) from Andhra University, India. She has successfully completed a professional training course in the areas of HR and Business Management program (US based) from one of the professional institutions in Dubai. Rekha strongly believes commitment and perfection leads to success in any business. 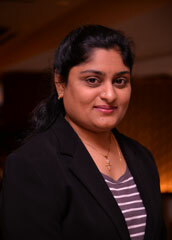 She has managed AIMS global events in international level in various GCC countries and India. 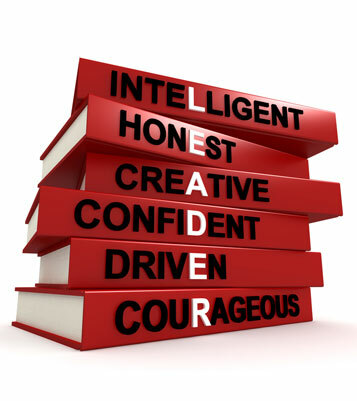 She is a strong team leader and sets clear targets with high standards. She has impressive track record of delivering high quality results under challenging difficult circumstances. Rekha is passionate professional about learning and implementing new technologies in her work and one of the visionary board member to serve the professionals as per the Vision of AIMS.